1996 is a serialized comic by Chantal Montellier published in early issues of Heavy Metal magazine (also in this really expensive volume by Vertigo). It functions in much the same way that 1984 does, although there isn’t a narrative that stretches through all of the comics. 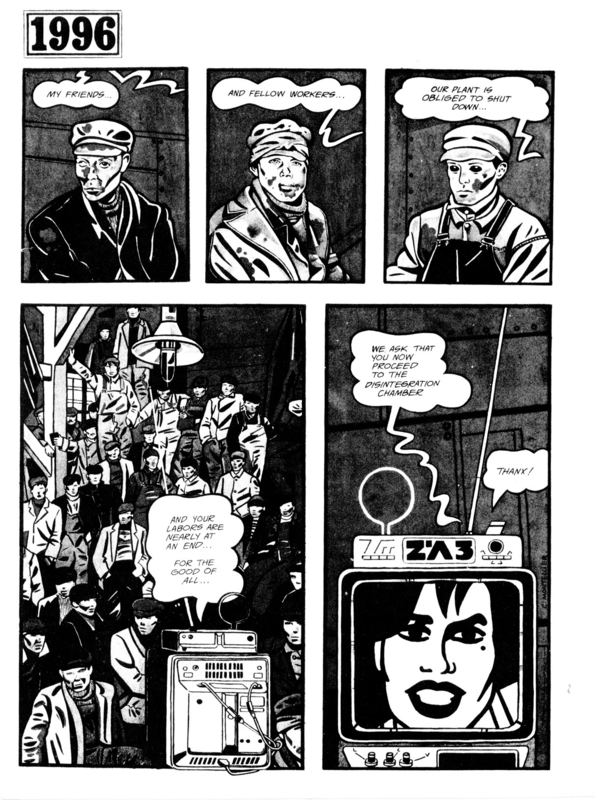 Instead, we are shown hints of the world that the comic takes place in through short, often one-page narratives. Is there any better way to describe the global economic crisis other than “thank you for your work, we cannot support you, please die soon”? What is European except for a systemic death for those who are no longer useful in cognitive capitalism? 1996 is also strangely abstract sometimes. 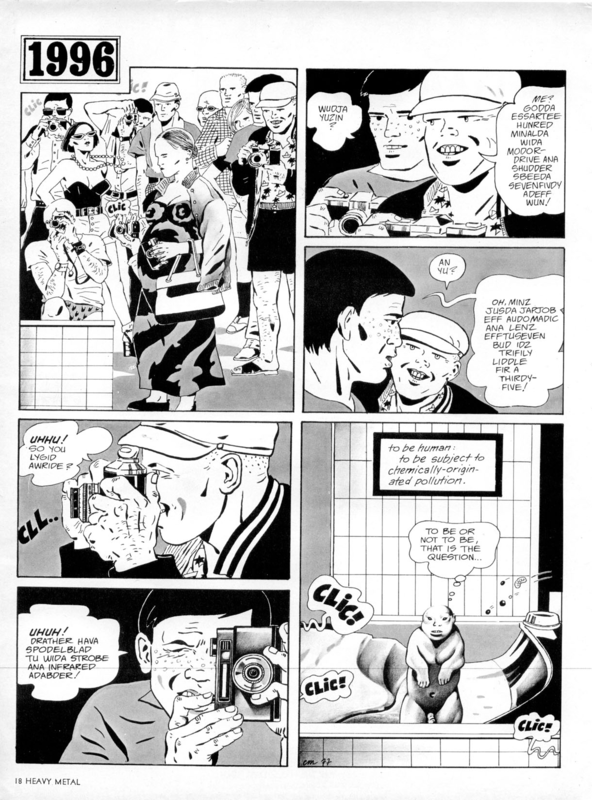 The language of the people in the comics is nonuniform and significantly different from the “media language” of the time period–it requires work to read through the vernacular of the people. Linguistically, people are alienated from the forces that control them–which goes along with the physical and emotional alienation that is shown in quite a few separate strips. This entry was posted in Comics, Heavy Metal and tagged 1996, chantal montellier, comics, dystopia, heavy metal. Bookmark the permalink.